It is not necessary that all the products your company manufacturers adhere to similar quality levels. There are always some products which have a defect or are not as per your internal quality guidelines. Most often, such defective products get caught and are removed from the assembly line. But in certain cases, some bad products get through and are bought by unsuspecting consumers. In such cases, most customers either return the product or get it replaced. As per a study, 8 to 9% of goods purchased at physical stores are returned. The percentage of returns at an e-commerce store stands at 25% or more. This is where Return Merchandise Authorization (RMA) comes in to the picture. In order to ensure that the product the customer wants to return is collected safely and returned back to you, a good RMA process can help streamlining all the steps involved. Return Merchandise Authorization (RMA) processes allow companies to track and monitor any returns or exchanges that are being performed by buyers for their products. This process is designed from the ground up to make the entire experience of exchanging or returning a product extremely hassle-free for the consumer, cost-effective for the party which sold the product, and rapid for the whole financial system. However, you must know that not all RMA processes or procedures are the same. Besides, you have to thoroughly understand the advantages of RMA to make use of it to streamline your business processes. If you do not have a sound RMA process in place, then your customers may suffer from unreasonably lengthy return procedures, leading to high customer dissatisfaction numbers. Easy Tracking - Your RMA system must be updated in such a way that you are easily able to track the serial number of the product that was sold earlier, and is now being returned. Once the product is tracked with the serial number, your RMA system must be able to generate a return label for the product and schedule a pickup of the returned product from the customer's doorstep. 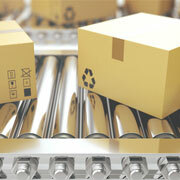 An efficient RMA system eliminates the additional costs that you would have incurred to process all product returns. Appropriate Treatment - Often, all the products that are returned to your location do not have to be treated in the same way. While some need to be sent to the warehouse, some may need to be sent to the manufacturer, while some products have to be sent to a different location for extracting recyclable materials. An efficient RMA procedure helps you make these distinctions easily and reduces the error of poor management of returned goods. Manual Intervention - While most parts of an RMA process is automated, you must encourage your staff to make sure they are not entirely dependent on the RMA system. They must manage all the returns properly and monitor the inventory at the warehouse regularly so that there are no discrepancies at the end of the day. Reason and Condition Mapping - There could be multiple reasons why a product is returned, such as, a product could be damaged, the size of the product could be way too big for the customer, a wrong color of the product may have been sent to the customer, etc. However, you must remember that the reason for returning a product does not decide the fate of the returned product. The condition of the returned product determines its fate. If the product cannot be repaired, then it is thrown away or disposed in a safe manner. If it is not damaged, it is returned to the warehouse, where it is repackaged and made available for sale again. Similarly, whether the customer should get money back, a replaced product or credit on future purchase, will be determined based on a clear understanding of the reason for returning the product. Proactively Awaiting the Returned Product - Once there is a notification and confirmation that a certain product is going to come in as part of the return process, then your in-house team must prepare for its arrival. For instance, your team could track the RFID code of the product being returned and enter the same into the RMA system even before the returned product has arrived. A lot of time and products can be saved from getting lost in transit in such a manner. Handheld Scanners - Writing the product ID numbers of several returned products manually can be difficult and time consuming. Hence, it makes sense to equip your staff with handheld scanners or machines that can automatically scan the product ID and make an entry into the system. This reduces time and increases efficiency considerably. Warehouse Management System - Make sure you have an efficient warehouse management system which sends the returned goods to the warehouse and accordingly replenishes the stock in the system. Similarly, if the returned good needs to be repaired, then the warehouse management system should send it to the repair bay and accordingly update the stock count. Accounting System - The accounting system must process the return of money or credit to the customer who has actioned the return of the product. Focus on Production, not Returns - It can be really time-consuming and frustrating at times to monitor all the returns that are coming in from different customers, at different points of time. This may impact your focus on production and other critical functions of your business. Accelerates the Returns Process - Returns, if not monitored efficiently can take a really long time to process and close. A good RMA procedure can help you speed up the entire process of returns. Happier Customers - Needless to say that when a return is processed faster than a customer expects, it leads to better customer satisfaction. The chances of a happy customer purchasing from you again will be higher than that of a disgruntled customer. Fixed Treatment of Returned Products - With an RMA in place you know how you are going to treat the returned good. Moreover, you automatically credit the customer's account with what was paid for the product. While it is important to focus on sales and increase the wallet share of your customers, it is also important to manage the inventory of products that are returned by customers for various reasons. If this is not managed efficiently, then customers may not purchase your products again. You need a reliable team to work on returns or return merchandise authorization (RMA). We can help you with proven RMA methodologies if you outsource your RMA service requirements to us. Our Finance and Accounting services are ideal for customers looking to save costs while receiving top notch services. Contact us to outsource RMA or return merchandize authorization services because we follow the best practice to create flawless RMA processes.